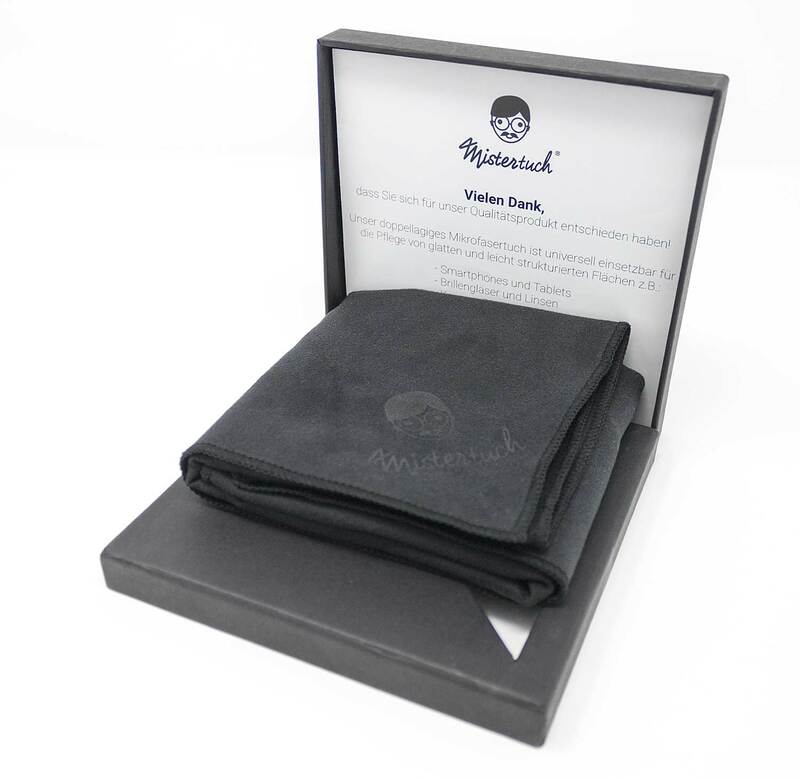 High-quality, two-sided microfibre for cleaning sensitive surfaces as lenses and displays. 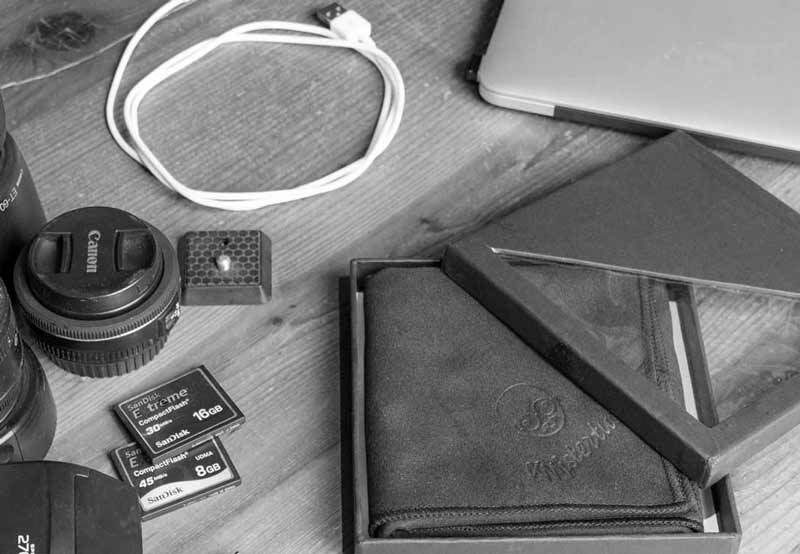 We're more and more surrounded by lenses, displays and many more different surfaces, that need an ongoing care and maintenance. Just think about camera lenses, notebook displays, tablet-pc, smartphones, televisions or projectors. And even if it's hard to believe, wrong cleaning clothes will scratch these surfaces over time. We're surrounded by lenses, displays and many more different surfaces, that need an ongoing care and maintenance. Just think about camera lenses, notebook displays, tablet-pc, smartphones, televisions or projectors. And even if it's hard to believe, wrong cleaning clothes will scratch these surfaces over time. 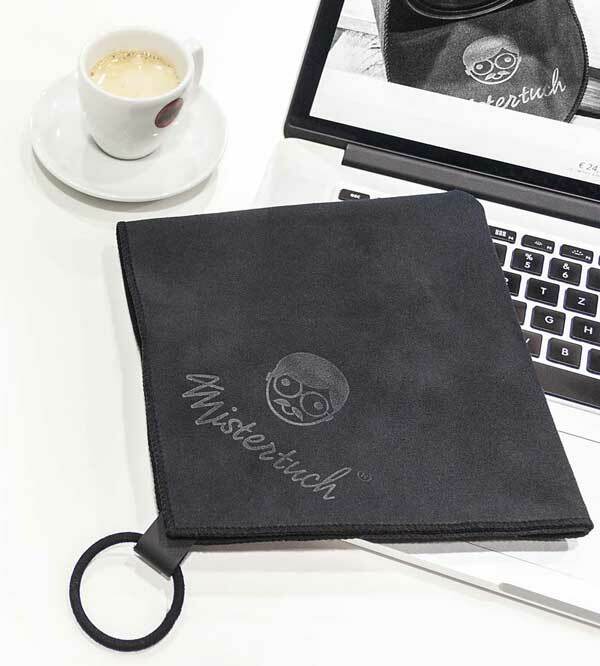 Mistertuch®'s soft and double sided microfibre material will smoothly clean even sensitive surfaces without harming them. 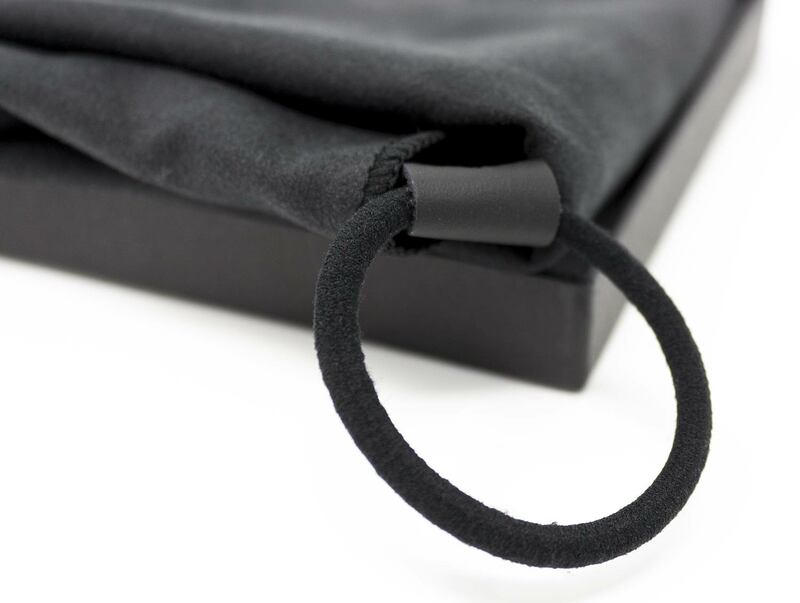 The two layers are connected by looped stitches, which makes them very long lasting. 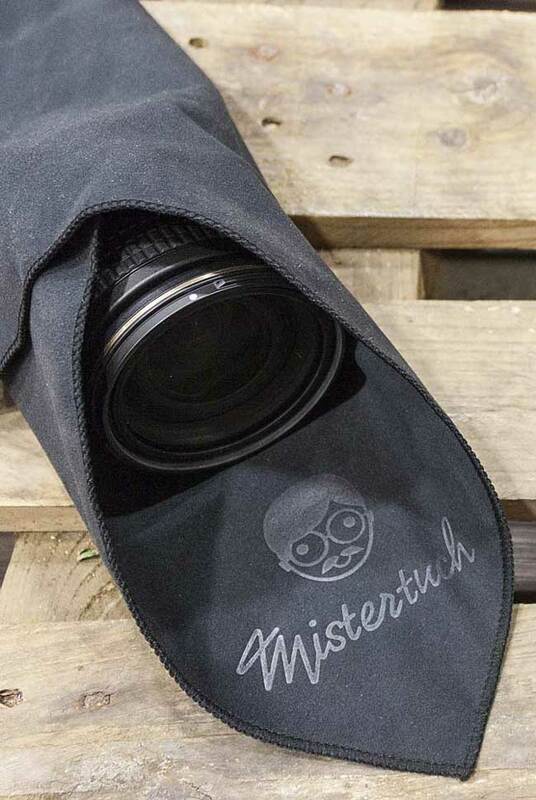 Mistertuch® consists of a soft and double sided microfibre material that will smoothly clean even sensitive surfaces without harming them. 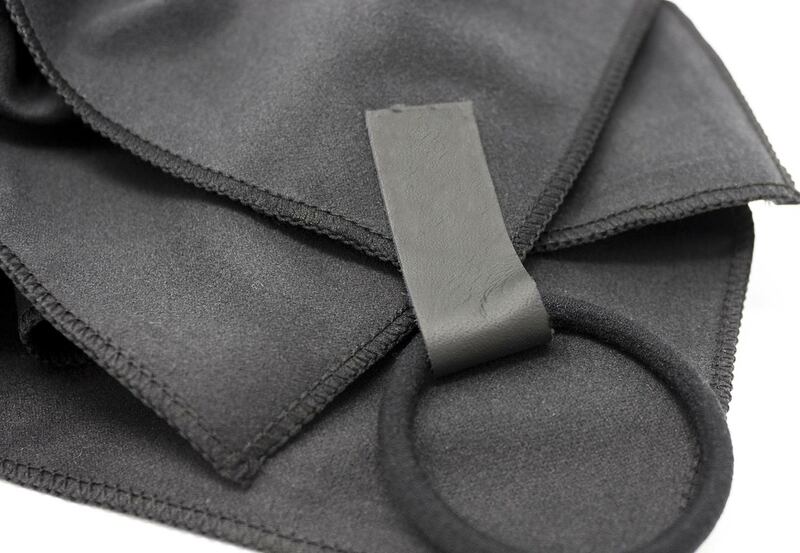 The two layers are stitched by looped sewings, which makes them pretty stable and long lasting.